الخيار الأفضل للحصول على المتعة والاسترخاء, منتجع بريك فري أنوكا بيتش يقع في منطقة Coffs Harbour في كوفس هاربر. يمكن من هنا للضيوف الاستمتاع بسهولة الوصول إلى كل ما تقدمه هذه المدينة النابضة بالحياة. سوف يعشق النزلاء موقع هذا الفندق، فهو قريب من أهم المعالم السياحية في المدينة كمثل Solitary Islands Aquarium, The Big Banana, Big Banana Fun Park . يقدم منتجع بريك فري أنوكا بيتش خدمات لا غبار عليها وكل أشكال اللياقة وحسن الضيافة اللازمة لإسعاد ضيوفه. يمكن للنزلاء الاستمتاع بالميزات التالية: مكتب الاستقبال على مدار الساعة, تسجيل وصول/خروج سريع, تخزين الأمتعة, واي فاي في المناطق العامة, صف السيارات أثناء إقامتهم في هذا المكان الرائع. استمتع بوسائل الراحة الراقية في الغرف أثناء إقامتك هنا. بعض الغرف تتضمن تلفزيون بشاشة مسطحة, حوض الاسترخاء, غرف لغير المدخنين, مكيف هواء, تدفئة لمساعدتك على استعادة طاقتك بعد يوم طويل. إن حوض استحمام ساخن, مركز للياقة البدنية, حمام سباحة خارجي, حمام سباحة داخلي, سبا هو المكان الأمثل في الفندق للاسترخاء وتفريغ طاقتك بعد نهار طويل. إن منتجع بريك فري أنوكا بيتش هو خيار ذكي بالنسبة للمسافرين إلى كوفس هاربر، بما يوفره من إقامة هادئة ومرحة. We stay here when visiting family in Coffs Harbour. 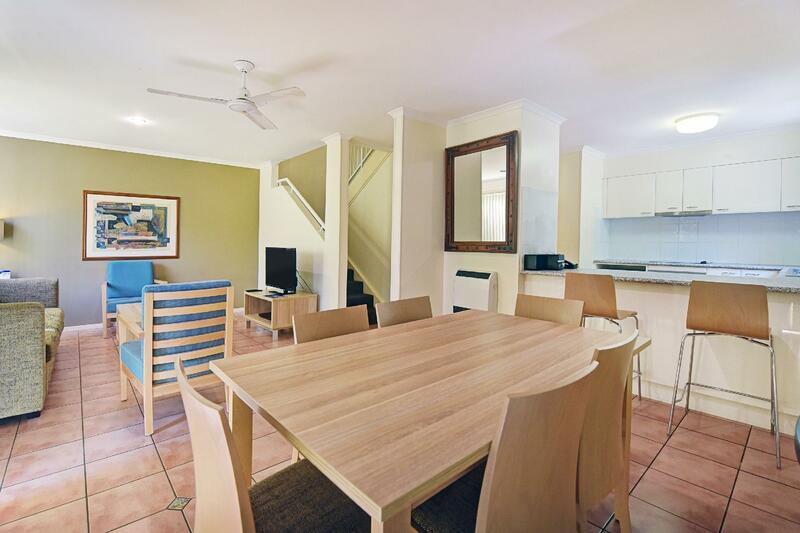 The two room units are ideal for us and the kitchens usually functional with a full size fridge. The water features like pools and spas are ideal for family and so close to Diggers beach which is excellent for walking and swimming. Casay's restaurant serves quality meals and we have had many enjoyable lunches and dinners there with family members. Staff are friendly and helpful so we always feel at home. Were there for 2 nights. Lovely beach, reasonable facilities, slightly overpriced food, but came with a gorgeous view. Overall, a relaxing place, with its cluster of Fijian-style Bures. Unfortunately we were up the back, but it was quiet. Managed well and maintained well. Nice and quiet and peaceful. Private. I just wish there was a bit more nearby options for food/beverage purchases. You need to drive into town for any supplies. No room service. (long overdue review) We are a group of three couples travelling together and stay at Aanuka for a night. Friendly and smiley staff. The rooms are very clean and spacious. Villa was well equipped . Short walk to the beach was lovely . We wished we had spent more time there. Annuka was really nice, spacious and clean. It has a lot of amenities even though we didn’t use them. The front desk was helpful and friendly. However, the maintenance crew went home quite early when they were needed. Additionally, there were tree branches and other rubbish on the ground which was not cleared during the days we were there. The restaurants at the resort were quite expensive. Had a great family stay here. Pool area was lovely and great proximity to beach. Our room was pretty good. Spacious and had full amenities which was handy. Our room was actually one of the nicer ones. We stayed with 2 other groups and their rooms were far less appealing. But all in all a nice place to stay. Would recommend as long as you're not looking for modern immaculate 5 star. I stayed with a couple of friends, we went to the World Rally Championships. The suite we had was fantastic, plenty of room, 3 bathrooms, very spacious, and very clean. The staff were fantastic, we've already made plans to come back again next year. The resort as a whole was fantastic, more than I expected. 2 of all glasses, mugs etc in room but booked for 4 Nowhere to sit inside main area in motel after 6.30 unless dining. Too cold for outside unless lucky enough to secure one of 3 fire pits. ( not enough). Furnature around the fires needs updating as was ncomfortable. Heated pool not working but not told on booking. ( arcoda booking online so not the motels fault) Beds comfortable, fascilities spotless ,surrounds beautiful and staff very lovely and attentive. Aanuka is a gorgeous little resort, stayed for a night, the beach is a very short walk and ammenities available are awesome, they have a cute little cafe on the resort that you can see views of the beach from, if you are going in the winter the have outdoor seating with a wood fire to keep you warm and toasty hot choc goes perfectly. They only down side is that the reception on resort is very bad, so you have to get wifi if essential, but I’d recommend not to and enjoy the views and nature your stay. While the rooms could do with an upgrade - everything is original, the location is stunning and really has a tropical feel. Beach is beautiful and bar overlooking the beach has a a fabulous view. Nice pools and playground for young kids. Staff is helpful and friendly, especially Jeanelle. Flat is clean, quiet and spacious. I will recommend to my friends. 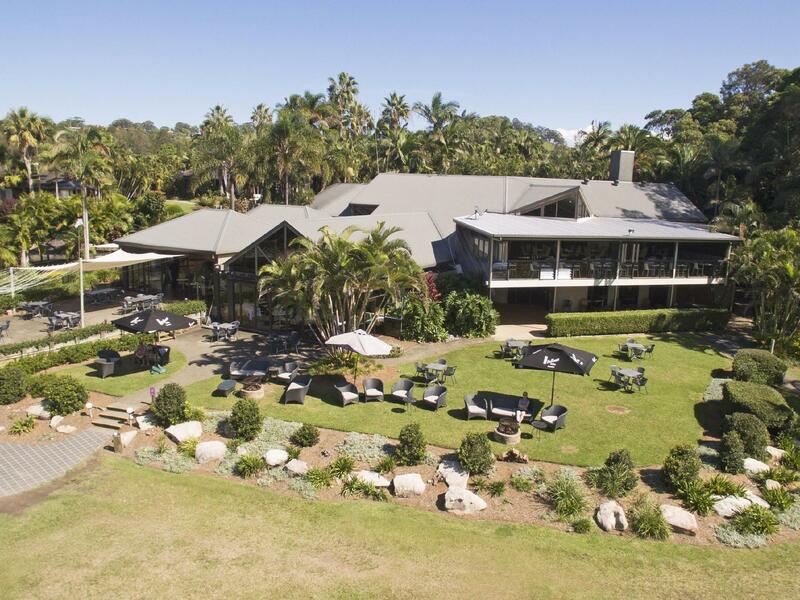 Coffs is a great place and this is in the perfect location, and a great resort thats spread out enough so you are not on top of other guests all the time usual Australian customer service levels but overall still very good, was not a fan of their pillows. Excellent checkin. Extremely helpful staff with maps and information on what to do etc. Good access to pools and beach. Buffet style breakfast. Was very busy before 9.00am. Our accommodation was a little further from the main building. Next time would ensure a closer room or upgrade to one of the separate bungalows. They looked beautiful. 10 minute drive to city centre. Excellent cafes, restaurants and shopping areas. Lovely place for a few days stay. We have stayed here a few times now and it is always pleasant. It is peaceful and quiet so we always get a good night sleep. The only very minor negative (and this is super picky) is there are no televisions in the main bedroom of the two bedroom spa apartments which would make it perfect. The television is only downstairs in the lounge room where there is no air conditioning and it would be nice to have the option to lay in front of the air conditioning and watch some tv after a long day in the middle of summer. We would gladly stay again in the future. It is always nice to come back as this is where we were married a few years ago. Nothing has changed though so the rooms could possibly be ready for a bit of an upgrade.... especially the sofa beds / couches in the spa bures. Rooms are a little old InStyle but comfortable enough. Good for a do little and relaxing holiday. Good for young children. The minus is no free wifi in the rooms. For the price you pay it is little better than average. My young daughter and I always stay here mainly for the proximity of the cbd and we feel like we're also miles away when at the resort and enjoying the facilities. The breakfast needs to be streamlined around the toaster area too much of a congested area. Bure are always good value but a quick look over by housekeeping for guests only staying three or four days would be appreciated, saves annoying the staff for clean towels or more of the amenities.